Eugene Even, 86, passed away August 2, 2017 at the Sioux Falls VA Hospital. Gene was born to Robert and Irene Even on July 20, 1931. Gene grew up in Humboldt, South Dakota. He served in the Korean War, stationed in Alaska. He married Edith Rowlee on September 26, 1959. Gene worked at the State Highway department, Kutz and Wrage CPA firm, and later owned Look’s Meat market. 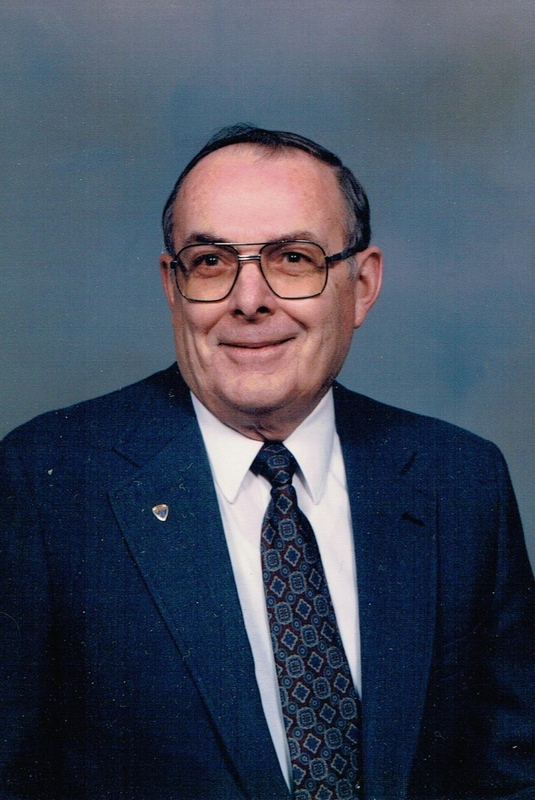 He was an active member of Christ the King church for over 50 years. He served on the O’Gorman Booster club as Treasurer and was an Honor Guard Member of the American Legion. His hobbies included golf and watching St. Louis Cardinals baseball. He is preceded in death by his parents, Robert and Irene Even and his wife, Edith. Gene is survived by his 2 daughters, Susan Zarzana of Houston, Texas and her husband Al Zarzana and Carol Hodgson of Sioux Falls. Grandchildren include Christina, Joseph, Nicholas and Daniel Zarzana and Christopher and wife Amy, Ryan, Emily, Catie, and Allison Hodgson. He has one great grandson, Abel Hodgson. He is also survived by his sister Marian Puthoff and husband Leroy, and sister in law Eleanor Neisteadt and numerous nieces and nephews. Gene’s special friend,Bailey,his German shepherd, was always by his side. A very special thank you to the staff, nurses and doctors at the Sioux Falls VA Hospital for the exceptional care our Dad received. Memorials may be sent to the Alzheimers Association 1000 N. West Ave. 57104 or the Sioux Falls Humane Society 3720 E. Benson Road 57104. Visitation will be Monday, August 7, at 5:00 PM with a Rosary at 7:00 PM. Mass of Christian Burial will be Tuesday, August 8, 10:30 AM at Christ the King Catholic Church.